We love solving problems with creative interior design solutions. It’s a great feeling solving a problem. It’s even more rewarding when it results in unique home décor that makes your space one of a kind and gives you a conversation piece. This client’s request really gave us an opportunity for unique interior design. And it has turned out to be one of our most favorite creative interior design ideas. She always wanted a headboard but anywhere she put the bed, there was a window in the way. If we went to high we completely covered the window. If we went lower so we didn’t block the window it was too small and didn’t look like a window at all. So, we included the window into the headboard. 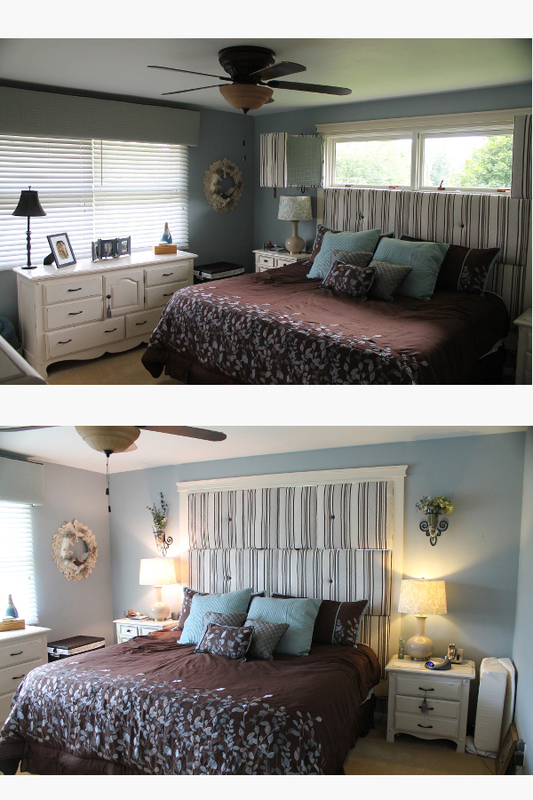 The top two panels of the headboard act as working shutters. So, the client can use the window or close the headboard around it — whatever she wants. This client needed some creative interior design ideas to increase her kitchen storage. The solution we selected was redesigning her corner cabinet. It wasn’t a true corner cabinet. It was actually just a straight base cabinet. It ended short of where the wall began and it was difficult to reach all the way to the back so it remained mostly unused. We cut out the backside, rebuilt the cabinet so it extended all the way to the wall panel, added in a sliding rack for easy access and created a hideaway for the Comcast cable box. 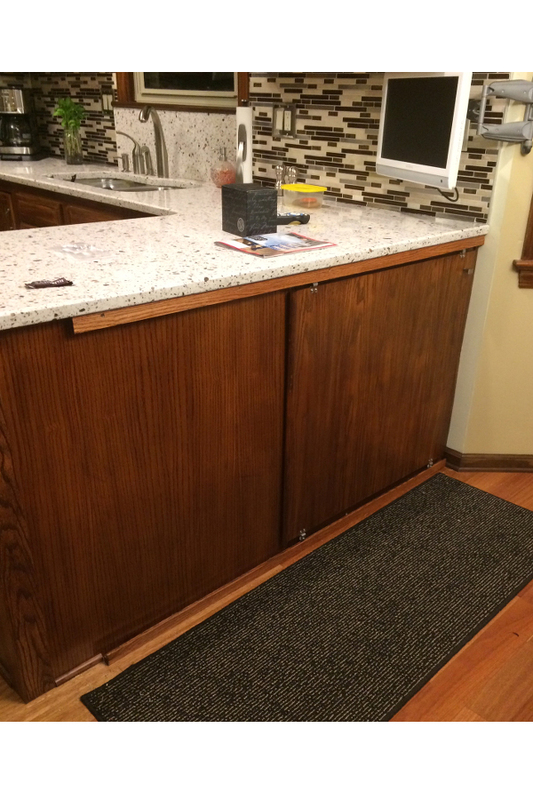 Since the space would be awkward to look at and open a regular hinged cabinet door, we designed a sliding panel that wouldn’t swing into the eating area and was relatively camouflaged. Also, she didn’t use the cabinets above the refrigerator because she couldn’t reach the doorknobs. So, we installed the doorknobs in the usual location to look like “normal” cabinets, but we installed the hinges so that the cabinets actually opened inward. The client was then able to open the doors by grabbing the corner of the door rather than the doorknob. Tight spaces give us the chance to put on our creative interior design hats. This client’s master bathroom was very small. She had some special requests. She wanted an electrical outlet inside of her medicine cabinet. She also needed a way to reduce clutter. She would get ready in front of the mirror and then had a separate mirror on the back of the toilet for her to sit down and put on her makeup. The solution we created was definitely unique interior design. 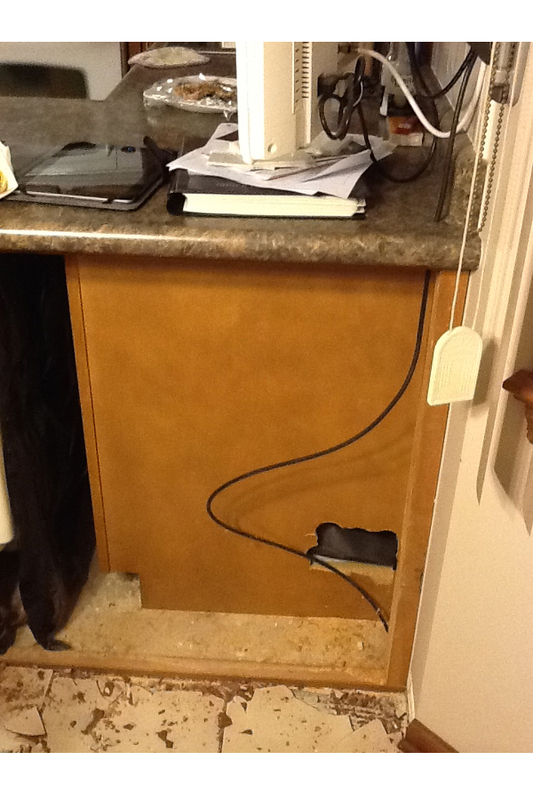 We created a custom medicine cabinet to house the electrical outlet. Then we designed and created a mirror on a track system so that the client can just slide the mirror along with her. Wine coolers are not necessarily unique home décor anymore. They are becoming regular appliances. But we don’t want them to standout like sore thumbs. 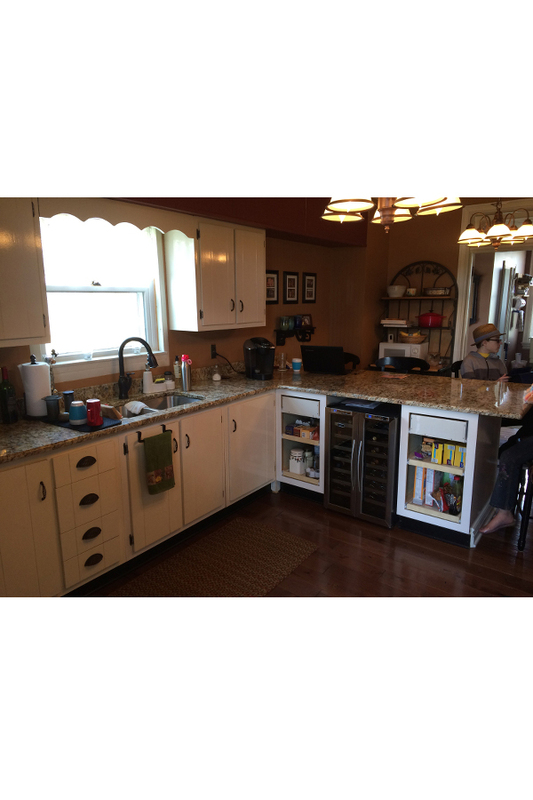 This client had added some additional cabinets to their kitchen. But the doors didn’t match the existing kitchen and finish. The wine cooler didn’t look like a built in because of the gap above it, yet it needed an opening to let out the heat it was generating. 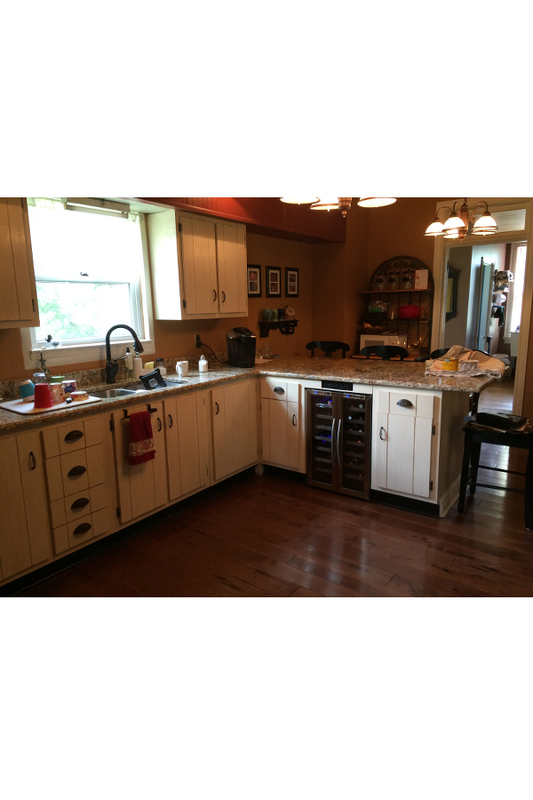 We created new doors and drawer fronts to match the rest of the kitchen. We also created a bridge above the cooler with custom grillwork. Another tiny space meant another opportunity for creative interior design. This tiny bathroom was the family’s only bathroom. 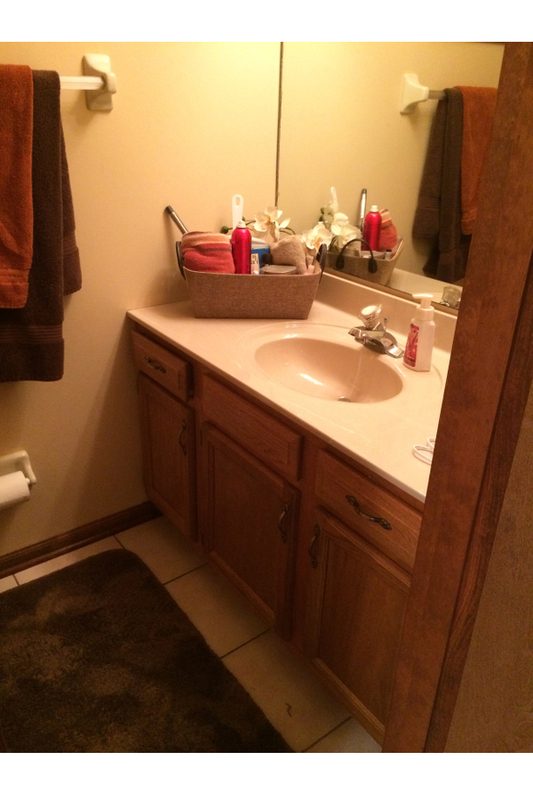 The original owner of the home had reduced the size of the bathroom so that any standard-size vanity was too large. You just couldn’t open the door all the way. We created a custom solution that was an example of unique home décor and a great conversation piece. 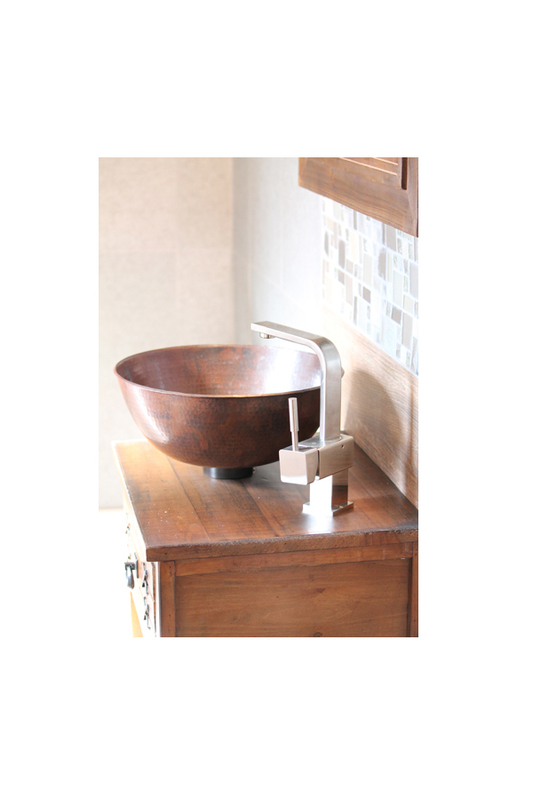 We found an occasional piece at a furniture store that had just enough space for a hammered copper vessel sink and a faucet. We finished the top of the piece with a bar top coating to protect it from kid’s toothpaste battles. 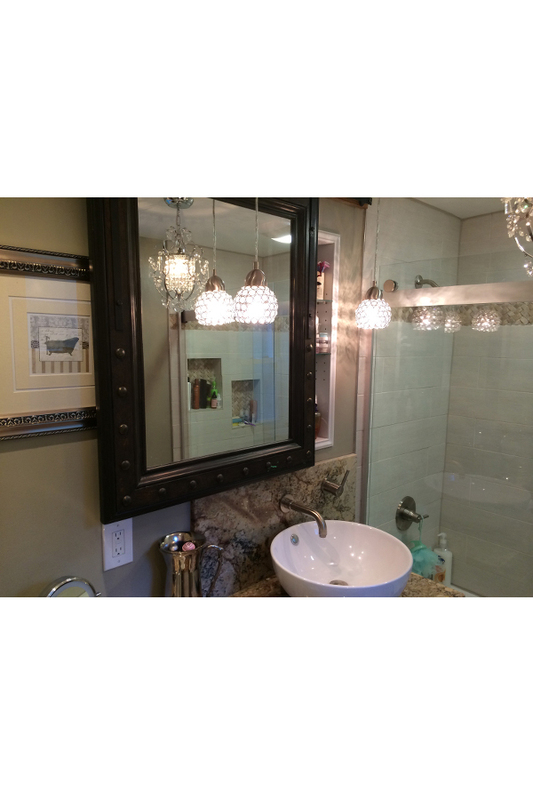 We saw in this client’s powder room an opportunity for unique interior design. She was unsure of our idea at the beginning but we completely converted her in the end. 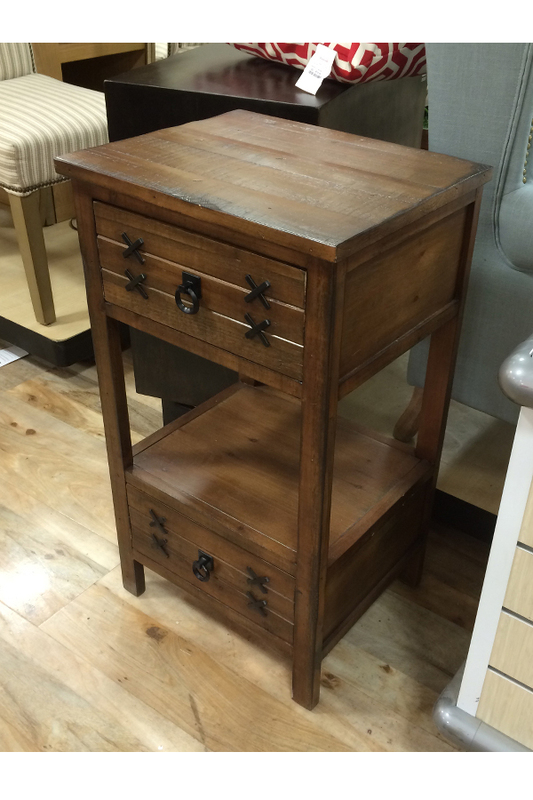 We found this nature maple dresser. It was the perfect style and size. It just needed to be stained darker. She didn’t want to have all drawer storage. So we reinforced the bottom of the dresser and remade the bottom two drawers into doors. So the original look is there, but she can store taller items. 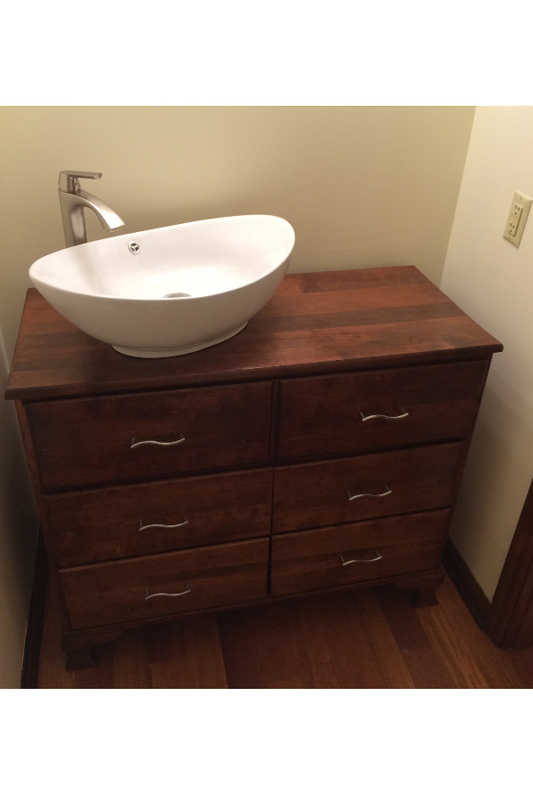 And we also cut out the drawers to fit around the plumbing. Some people take short cuts and just put a non-functioning drawer front. Not us. We don’t want you to lose that valuable storage space. 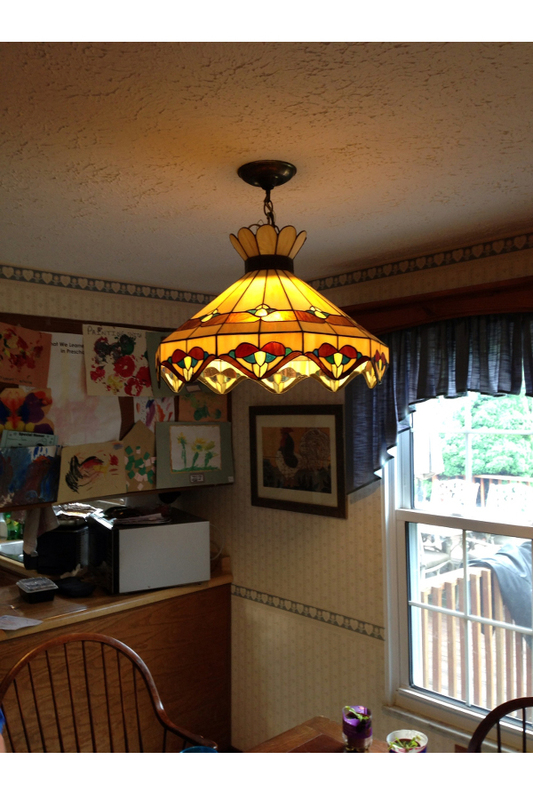 It’s a small piece, but it’s still an opportunity for creative interior design ideas. And it’s little touches like these that make your projects look custom. This client had a dishwasher at the end of her cabinets. It was finished with just an off white piece of metal. Sure it would blend a little better when we refinished the cabinets, but it still wasn’t ideal. 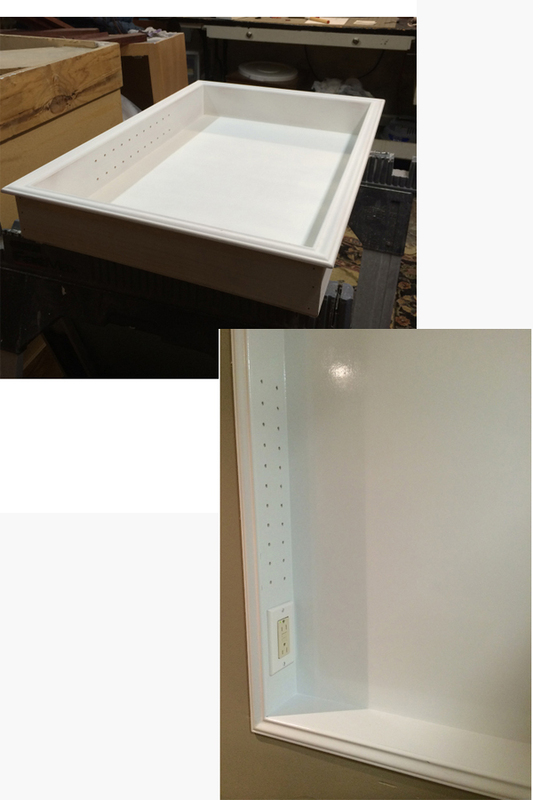 We didn’t want to drill into the metal, so we created a matching panel of wood and basecoat with a magnetic back. What an expense and a pain it is to replace a fireplace. So we didn’t. We used our unique interior design skills. There were a few problems with this fireplace. The fireplace just sort of stood out in the room. It wasn’t attractive and it really wasn’t the proper proportions for the room. 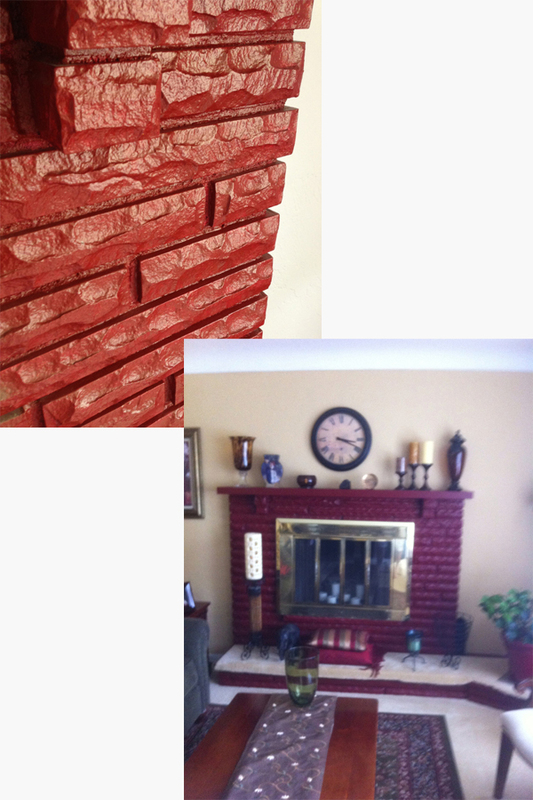 So, we refaced the existing fireplace in slate and glass tile. 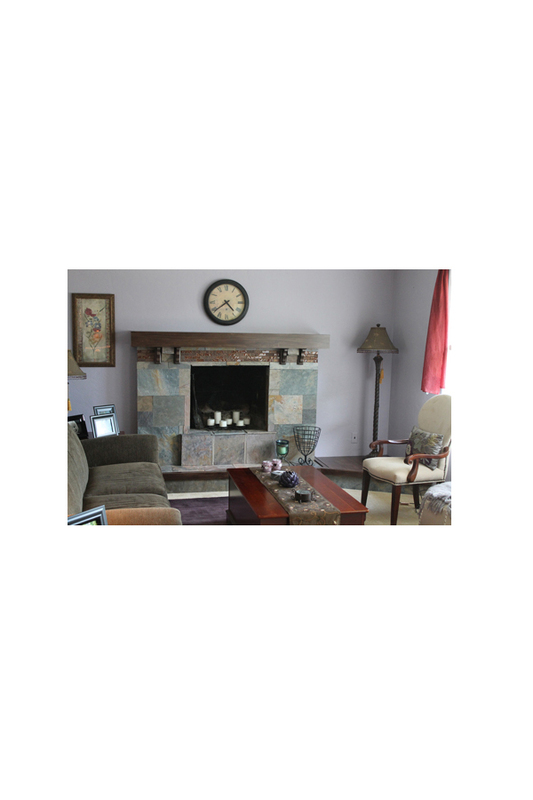 And we built a wooden mantel piece and hearth that was more appropriated sized for the room. Another chance for unique home décor was the kitchen remodel. We converted the large backside of the wall cabinets into chalkboard and corkboards, since they were already putting pushpins into the cabinets. We also created a custom display shelf with antique door knobs.